In 2011 the literary awards season gave rise to hopes that the establishment was finally starting to recognise some of our younger and more innovative writers. Cynthia Jele’s Happiness is a 4-Letter Word and Sifiso Mzobe’s Young Blood both enjoyed outstanding critical success, raking in a bouquet of wins between them. This year the winners have been a great deal paler, maler and older. One could almost be excused for thinking that there were no exciting releases by young black authors at all in 2012. This would be crashingly inaccurate, 2012 was a year that saw some of the most excellent and innovative writing of the last 20 years. And while those novels that did win awards were highly deserving of their honours, I am puzzled by those that were overlooked. It seems to me the judges of literary competitions find it difficult to relate to books that speak directly to black experience in fiction – to the tension between suburban and township life, between middle-class aspirations and ekasi realities. It seems as though the more authentically this experience is rendered on the page, the less merit judges can find in it. So here is a round-up of those books I believe should have been serious contenders for literary awards this season. We can call them the “Fiona’s” if you like, or the “Snyckers’ Awards for Outstanding Literary Merit”. 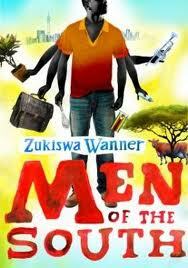 The first to be released was Men of the South by Zukiswa Wanner. It follows the lives of three young men living, loving, struggling and fighting their demons in South Africa. These men tell their stories in their own words, demonstrating Wanner’s chameleon-like ability to inhabit the minds of characters as diverse as a gay Zulu man, a Zimbabwean struggling for citizenship and an aspirant jazz musician. Zakes Mda called this book “sensitive and witty … compelling prose”. He is quite right. It interrogates notions of African masculinity in a way that’s entirely revolutionary in our literary landscape. 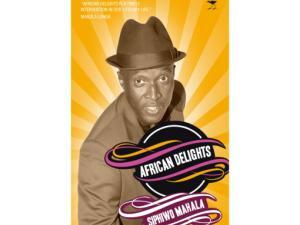 Staying with the theme of masculinity we have African Delights by Siphiwo Mahala. The author of When a Man Cries is perennially fascinated with the expectations and realities of South African manhood. The book consists of four cycles of short stories, loosely grouped in themes. The best known is “The Suit Continued”, which is a sequel to Can Themba’s iconic story for Drum magazine. The other stories are vignettes of African life that crack open unspoken-about themes and let light and air into them. The collision between the white and black worlds is dealt with in the “White Encounters” story cycle that confounds expectations and rocks readers out of their comfort zones. Mahala’s partner in crime is Thando Mgqolozana. They launched their second novels jointly in Johannesburg and have publicly said that they’re each other’s first readers and work-in-progress commenters. 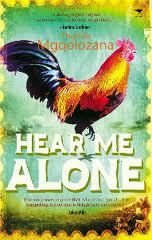 Mgqolozana’s second book Hear Me Alone is so incandescently innovative that one wonders whether South Africa is quite ready for this brilliant son of hers. It’s a retelling of the Gospel, focusing on the perspectives of the young Mary and the boy who loves and loses her. The pre-industrial landscape is lovingly and meticulously rendered, and the characters viscerally real. I suspect posterity will understand this book better than contemporary critics have managed. 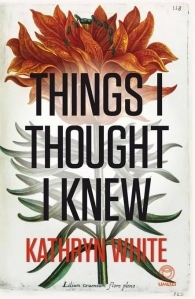 Things I Thought I Knew by Kathryn White is a slim and elegant novel, more beautifully written than anything else to come out of South Africa this year. About a young woman burdened with second sight, it is by turns wonderfully romantic, and stomach-heavingly tragic but always intensely vivid. This book deserves to leave a deep imprint in our literary soil. It deserves to be studied at tertiary level because only the very closest reading can do justice to its multi-textured denseness. In 2009 Whiplash by Tracey Farren was a literary sensation. The novel — about a prostitute in Muizenburg — that was too hard-hitting to find a home with a mainstream publisher was picked up by Modjaji Books and instantly shortlisted for the Sunday Times Fiction Prize. 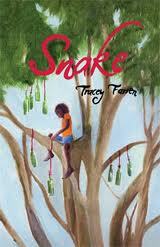 Now Farren has brought out her second novel Snake, which is a riveting study of murderous evil viewed through the eyes of a 12-year-old girl. Page-turningly readable for adults too, Snake is a book one would love to see as a high school setwork. It’s a master class in the art of using perspective to drive a narrative along. These books all deserved a better showing in the 2012 literary awards season. A startlingly innovative crop, they offered judges the chance to forge a new direction for South African fiction. But it seems we still prefer the safe to the challenging, the familiar to the unknown and the well-trodden path to trailblazing excellence. White writers writing black characters – a form of literary blackface?